Living in the African savannah surrounded by expert carnivorous hunters is a game of chance where anyone could loose. Giraffes have no claws, sharp tusks or pointed antlers to protect themselves, but any animal that lives in the wild in such conditions have adaptations that allow them to survive. Giraffes protect themselves from intruders with their legs. These are their primary and most powerful weapons that save them from death. The impact of a single kick in the head or a sensitive part of a predator is enough to kill it, but the experienced predators are extremely cautious, and therefore know the exact moment to attack. Because of this, giraffes are not the first choice of African carnivores when they are looking for food. They are a target only when another less dangerous prey is not available. It is not easy catching an adult giraffe, so it is more common that wounded or offspring become the center of attention as long as the mother is distracted. Giraffes may look peaceful, but they are not an easy prey. Besides they also have an excellent sight so they can be long gone before a predator can get too close to them. The only significant predators of giraffes are lions, and they will look for the young and the weak giraffes first. They also target pregnant females that are ready to give birth so they can’t move as swiftly. When the predators a herd of lions, there is not much probability that one will come out alive no matter how big it may be. These big cats attack from behind, riding on the back of the giraffe and causing wounds with their fangs and claws to weaken them, while others try to bite the legs to knock them down and reach their neck, the key area to kill them. An ideal time for predators who want to catch a giraffe is when they drink water from rivers and streams. During this activity, the neck is near the ground so cats can attack them there. On the aquatic side, crocodiles try to catch them in that situation, since with a single bite they unbalance them forward to fall into the water. To avoid such acts, giraffes always take turns drinking water while others watch around them. 1. They have an intimidating size. 2. They give deadly kicks, which more predators fear. 3. They are fast runners, so they are not easy to catch. 4. They have an excellent vision that allows them to react in time. 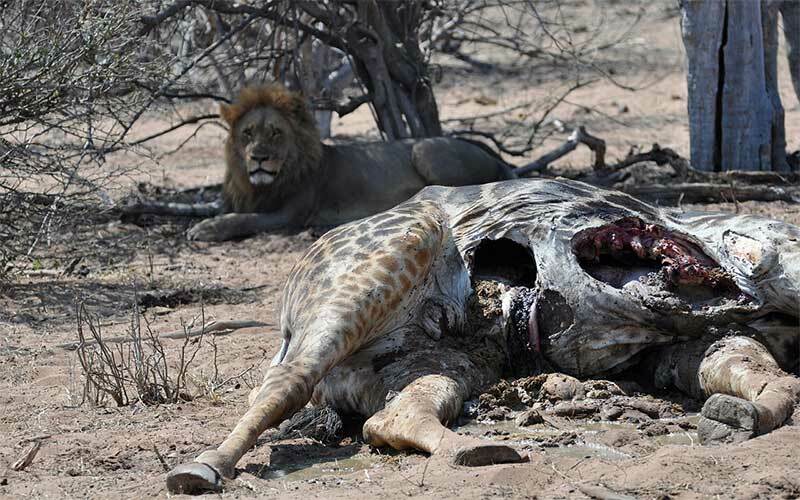 If a giraffe ends up kicking a predator, it can be severely injured or killed so not so many predators dare to attack a giraffe unless they find a young or they are desperate for a meal, to the extent of risking their lives on it. The offspring, on the other hand, are always in danger but can camouflage in the vegetation and they grow very fast reaching soon twice the size of birth, which reduces the chance of being targeted by predators. Baby giraffes need a lot of rest during the first couple of weeks of life, and they do this lying down. That makes them an easy target for a variety of predators including wild dogs, hyenas, leopards, and of course lions. The mothers strive to keep their young close to them but young giraffes are curious by nature, and that can cause them to end up being victims. Approximately 75% of all young giraffes don’t survive to adulthood due to becoming the victim of predators. That makes it one of the highest mortality rates among animals out there. Giraffes are the sentinels of the herbivorous species of wild Africa. Due to their height and their good vision, they warn other species of approaching danger, so animals like zebras and ostriches can also escape. Leopards, hyenas, and wild dogs are other predatory carnivores that are a serious threat to giraffes, especially for newborns or very young who do not have the height, size, strength and experience needed to defend themselves. Lions and leopards usually choke their prey by the throat and crocodiles perform their “twist of death” to kill them almost instantaneously, but hyenas and wild dogs usually begin to eat before the giraffe is dead. When attacking, predators try to get the legs of the giraffes tangled up so that they fall to the ground. They also try to attack when they are drinking so that their necks are at ground level. Small creatures also cause problems to giraffes. External and internal parasites cause them various diseases which affect their quality of life, further reducing their short life expectancy. Among the external parasites, there are about 15 types of ticks and fly larvae. The internal parasites include the “Taenia solium” and the human whipworm (Trichuris trichiura). 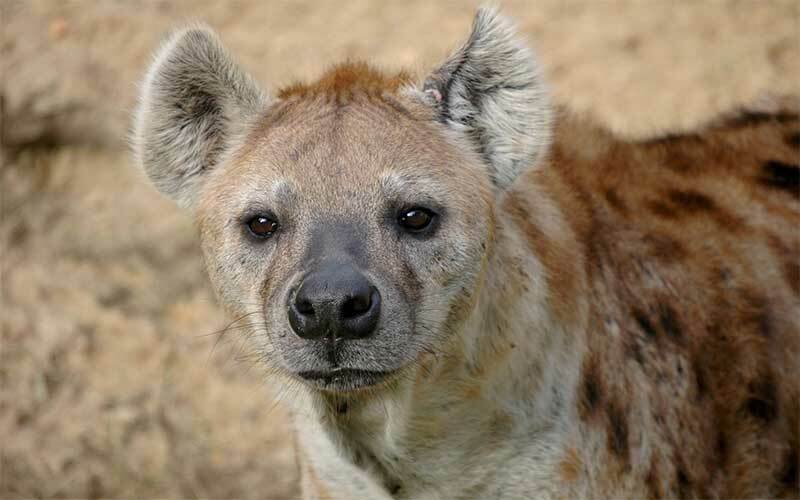 Anthrax and rinderpest are diseases that not commonly or frequently attack them, but when an epizootic affect a population, some get temporarily blind and die. Compared to other ruminants, giraffes have a “long” life expectancy of 15 to 25 years in the wild. Giraffe captured by a lion. For the giraffes, their risk does not end escaping from the dangerous animals, because their worst predators by far are humans. The natives consider them a source of meat when others are scarce. They also believe that the tails of giraffes are good luck so that they try to get one. The human being is also considered a dangerous predator to giraffes. The populations living in the north have reduced their numbers dramatically for two main reasons: degradation of their natural habitat and poaching, which is the case in Kenya, Somalia, and Ethiopia, despite the fact that national parks are struggling to preserve them. In some villages, those tails are used to create jewelry, collectibles for tourists, and even flyswatters for the huge mosquitoes out there. The coats are spectacular due to their thickness and the design of the different spots that each giraffe has. Also, many of these animals become nothing but the trophy of hunter that want to say they have killed an exotic animal. While most areas of Africa make it illegal to harm or to kill a giraffe due to their conservation status it occurs on a regular basis. There aren’t enough resources to enforce the laws. Villagers are desperate to make money so they will do what they can to survive. Nicole Helget. Giraffes. The Creative Company, 2008. Rafferty, John. P (2011). Grazers (Britannica Guide to Predators and Prey). Britannica Educational Publishing. p. 194. Predator-prey size relationships in an African large-mammal food web” (PDF). Journal of Animal Ecology.